Lou Aronica is one of the true innovators in book publishing. As publisher of Avon Books, Lou launched the Eos imprint, now celebrating its tenth anniversary. Also at Avon , he built publishing programs for Dennis Lehane, Susan Elizabeth Phillips, J.A. Jance, Stephanie Laurens, Lisa Kleypas, Bruce Feiler, and Peter Robin son. Neil Gaiman, whose work Lou acquired, reached #1 on the New York Times Best Sellers list. He also launched the Bantam Crime Line and Bantam Spectra imprints, has been honored with a World Fantasy Award, and has published more than a dozen award winning-novels. At one point he had acquired five consecutive winners of the Nebula Award. Authors he’s developed over his career continue to reign over bestseller lists and include Elizabeth George, Diane Mott Davidson, Amanda Quick, Tami Hoag, Iris Johansen and William Gibson. And is there any reader who can’t imagine the thrill of working alongside Ray Bradbury, Arthur C. Clarke and Isaac Asimov? Commercially, his biggest accomplishment is the acquisition and design of the Star Wars book publishing program, which jump-started the Star Wars book franchise and was initiated at a time when others had very little interest in the series. Now Lou has started The Story Plant with Peter Miller. The company is dedicated to publishing commercial fiction. Story Plant books will be involving and engaging reading experiences provided by passionate writers who love the stories they’re telling and have several more to tell. The first two Story Plant books go on sale in the fall of 2008. 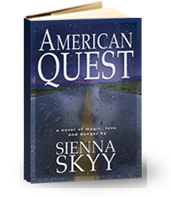 American Quest by Sienna Sky is a moving, romantic, and exciting contemporary fantasy. 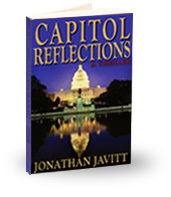 Capitol Reflectionsby Jonathan Javitt is a powerful and frightening medical thriller. Lou recently talked with Future Perfect Publishing about starting The Story Plant and also shared his thoughts about trends in book publishing. FPP: You have had a very successful career with publishing houses like Avon and Bantam. What motivated to form The Story Plant? LA: After Avon, I really thought I was through with this side of the publishing business. I wanted to focus on writing and working with writers to develop their work. While that has been very satisfying, I found that I really missed being able to see a book all the way through to publication. I had stopped using certain skills (like title marketing and list building) that I’d always enjoyed. I felt the need to get back to publishing, but I didn’t want to do it in a corporate setting. The Story Plant was an ideal solution. FPP: How did you and Peter Miller come to the decision to team up in the new company? LA: Peter and I have known each other a long time and we have worked on several projects together. We found the fiction projects especially challenging because we felt that publishers weren’t investing in author development as they once did. I would ramble on and on about how, when I was a publisher, I always thought in the long term and how I believed that was the only sustainable way to publish fiction. Peter said, “If you really feel that way, we should start our own publishing house.” I thought he was joking, but he kept coming back to it and the idea kept sounding more attractive. Peter and I make a good team because he loves being out in the world making book deals, translation deals, and film deals. I like working closely with writers, developing publishing plans, and imagining the big picture. We have very complimentary personalities. FPP: What have been your biggest challenges in starting up a new publishing house? LA: Because we’ve dedicated the house to developing novelists from the ground up, the biggest challenge is that we’re starting from the beginning with every book. Every book we’re publishing in the first two seasons is by a new novelist. It’s something like fielding a major league baseball team exclusively with rookies – the only thing that’s certain is the raw talent. I think this will work out well for us, because we’ll be able to establish publishing programs with a clear sense of vision, but it does make getting attention for the books tough at the beginning. FPP: What genres will you focus on and who is your primary market for the books you publish at The Story Plant? LA: The charter of the house is to publish commercial fiction. Most specifically, we’re focusing on the three most dedicated fiction readerships: romance, sf/fantasy, and mystery. Our intention is to publish books that I call “supergenre” books – books with genre roots and high novelistic qualities. FPP: On your website, you say that “The Story Plant is dedicated to developing commercial novelists into bestselling authors.” What do you look for in the books and authors you publish? LA: The first thing we’re looking for is a sense of commitment from the writer. We want to work with people who love what they’re writing and who want to be actively involved in bringing their books to the widest possible market. We’re especially keen on books with strong characters and strong character interactions, as I believe that fiction readers care about characters above everything else (I know I do). FPP: Who are some of the authors you admire most and would like to publish? And why? FPP: You and Peter Miller have indicated that you are specifically interested in a book’s film and foreign potential. How much of a factor is that in your publishing decision and how do you judge that? LA: It’s an absolute factor because it is a fundamental part of our business model. Given the investments we’re making in writers from an editorial and marketing perspective, we need to be involved in film and foreign. FPP: You were a technology innovator at Avon in your development of its Eos imprint. How do you see technologies impacting the way you will publish and market your titles in today’s market? LA: I think the internet is the most significant marketing tool that has ever been available to book publishers. One of the biggest challenges we always faced in marketing books was finding the readers. The web allows us to see where the readers are and allows readers new tools for turning each other on to new books. The key is reaching out to these readers without hyping them, as we know readers are especially contemptuous of hype. What we’ve tried to do with the first two books is build worlds around them with original content unavailable in book form. 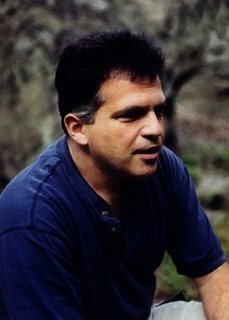 The American Quest site (www.americanquestbook.com) includes a music video, a Flash video, two original short stories, and other materials. The Capitol Reflections site (www.capitolreflections.com) has a variety of nonfiction pieces about the novels primary subject, genetically modified foods. FPP: How has book publishing and book readership changed during your tenure in the business? LA: The changes in the business have been huge. I’d say the biggest changes are the decline of the independent bookstore (which changed the way readers learned about new books), the decline of the mass market paperback (which changed the way a publisher could develop writers) and the rise of the internet (which changed the relationship between writers/publishers and readers). I don’t know that the readership has changed that much. They learn about books in different ways now and they buy books in different outlets, but I think dedicated readers are still looking for the same experiences from their books that they were looking for in 1979 when I started. I think the one huge change is that there are fewer casual readers – people who might pick up a book or two a year – than there were. This has had an impact on a certain type of publishing, one that focuses on impulse buying. FPP: What do you see as the biggest problems for publishers today and over the next few years? What do you envision as the biggest opportunities? LA: I think the biggest problem by far is that the numbers aren’t working right now for the major ublishers. The business overall is flat and it’s difficult to make the kinds of profits you need to make a big rganization when a business isn’t growing. Most of the people I know at major publishing houses are very nervous about this. These conditions could of course wipe out small new companies like The Story Plant at the same time. I think the opportunity comes out of this, though. I think publishers who dig in, really dedicate themselves to the writers and the readers, and who focus on one thing that they feel they can do as well or better than anyone else will have a chance to make major breakthroughs. The business will continue to morph as new formats and new methods of delivery come on line, but I think the true opportunities will be in forging strong, lasting relationships with readers. This entry was posted in book marketing, Interviews, publishing strategy, readership strategies and tagged Americn Quest, Capitol Reflections, Jonathan Javitt, Lou Aronica, Peter Miller, Sienna Skyy, The Story Plant. Bookmark the permalink. Tom, thank you so much for publishing Lou Aronica’s interview and participating in his month long virtual book tour! Tomorrow’s stop is at Blogcritics so I hope your readers will follow his tour from there. Excellent interview. I look forward to learning more about The Story Plant and Lou and Peter’s vision during this month’s tour. What a great post. It is always interesting to get the inside scoop on the business from industry professionals and this article delivered in spades. It gives the aspiring author a lot to mull over. I have a comedy novel, which is receiving excellent comentaries, “BALADA PARA TERRORISTAS”, just published on line thru Libros en Red. com in Spanish in connections with Amazon. com and Barnes &Noble, sharing half and half profits. “BALADA PARA TERRORISTAS”, the perfect antidote against depression, wants to be published in English as “SONG FOR TERRORISM” with the same connections with Amazon and Barnes and sharings. It is an excellent business due to it easy could be the next best seller.